Defiance launches today. 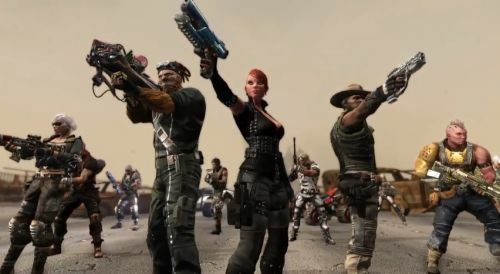 A quick look at the Twitters tells me the servers are having issues, which is something to be expected from a new MMO --especially a new MMO which is launching simultaneously across the Xbox 360, PlayStation 3, and PC. I think I may wait until tomorrow to try to log on. For now I'll just cozy up with the Defiance launch trailer before I venture forth to explore the Bay Area Frontier. It's got explosions, guns, aliens, and alien cleavage. What else could you want? I had some hands-on time with Defiance last week. It was pretty boss. Check out our preview and developer interviews for more information. I think we'll have four or five staff members playing the game while we work on a review. Once we've put in a chunk of time, we'll post our Co-Op Review. Defiance is an MMO. Four players can group together to tackle the main mission, side missions, and complete cooperative instances. It is available now for the Xbox 360, PlayStation 3, and PC. Page created in 0.3099 seconds.